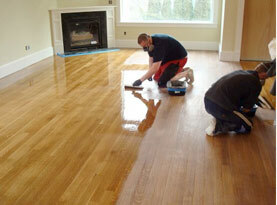 Recoating is a way to apply a fresh coat of finish to your hardwood floors that have very minor scratches and dents. Recoating and refinishing are different services, though they are often mistaken as one in the same. Refinishing involves completely removing the original finish, where recoating does not. Hardwood floors are commonly recoated more than once during the lifespan and with recoating you have options to reapply the same finish, change the color of the finish, or to retexture without sanding the hardwood first. 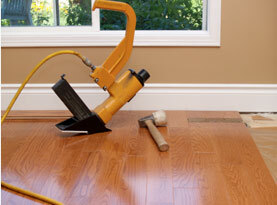 Today, we at Mike’s Custom Flooring would like to further discuss recoating hardwood flooring. 1) Find out what the current finish is. What finish is currently on the flooring is a need to know before you start. As long as the floor has no wax finish, the finish is a polyurethane finish. Perform a simple spot test in an inconspicuous area, like the corner should you not know whether you have a polyurethane or wax finish. In an inconspicuous area, like the corner, perform a simple patch test in an inconspicuous area. Patch test: Treat water or mineral spirits to a piece of extra fine steel wool and gently rub the floor. The steel wool will have a grey smudge or dirty looking film if the floor has a wax finish. Especially if it has excessive buildup, wax is particularly difficult, from cleaning with soaps or products with wax in it over the years. It will likely not adhere to the wood efficiently, if you try to recoat with a polyurethane finish. 2) Screening hardwood floors. Once you know the finish, lightly sanding the floor (this process is also known as scuffing or buffing). Once you have finished screening, you will end with a smooth surface, you will end with a smooth surface; just be sure you do not screen down to the bear wood. 3) Cleaning after screening. You will want to ensure the floor is efficiently cleaned after you have finished screening. 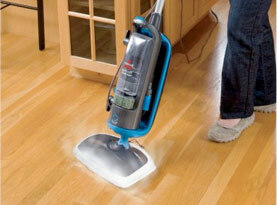 To extract as much dust as possible, begin by using the vacuum. With a treated rag of pure mineral spirits, wipe down the entire floor surface. 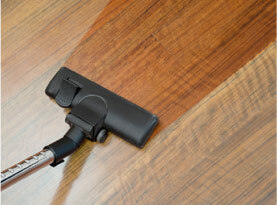 The recoating can be impacted by other cleaners that will leave behind a residue. Allow the floor to dry entirely before moving on. You can perform a patch test to select the right color, though finding it can be a challenge. 4) Finish application. Next to the walls, start applying the finish to edges of the floor. Administer the rest of the finish to the entire floor using a long handled foam or lamb’s wool applicator. Be sure to apply it to the grain, using long even strokes. Only after the finish is completely dry, apply the clear polyurethane coating. Throughout this entire process, be sure the room is well ventilated. To save yourself some frustration and time, call Mike’s Custom Flooring and let our experts take care of your floor recoating and dustless refinishing projects.